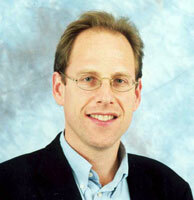 SIMON BARON-COHEN is Professor of Developmental Psychopathology and Director of the Autism Research Centre at Cambridge University. He is also a Fellow of Trinity College, Cambridge. His research into autism spans three programs: (1) cognitive neuroscience (including genetics); (2) screening, diagnosis, and epidemiology; and (3) intervention. He previously held a senior academic post at London University (at the Institute of Psychiatry). He was awarded the British Psychological Society's Spearman Medal, and the American Psychological Association's McAndless Award, for outstanding contributions to research. He is author of numerous articles in scientific journals on the subject of autism, and has written several books including Mindblindness; and The Essential Difference: The Truth about the Male and Female Brain. He is also author of a DVD-RoM entitled Mind Reading: the interactive guide to human emotions.